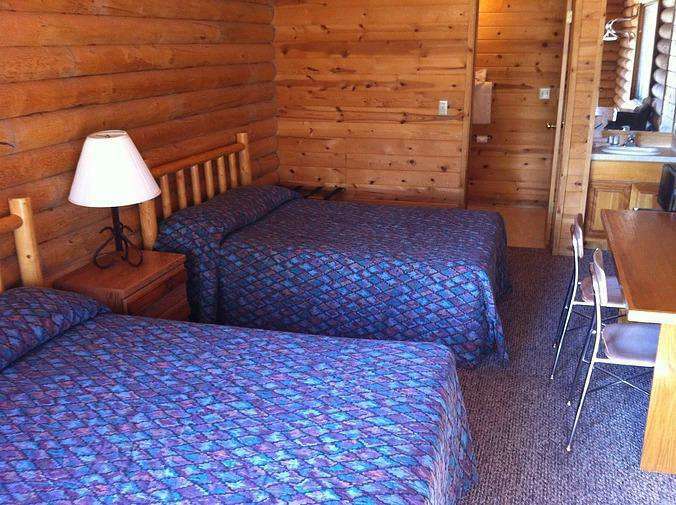 The log cabins accommodate 4 people in 2 queen size beds. Units include a mini fridge, microwave, vanity area with shower. Cabin is equipped with air conditioning but does not have a TV.